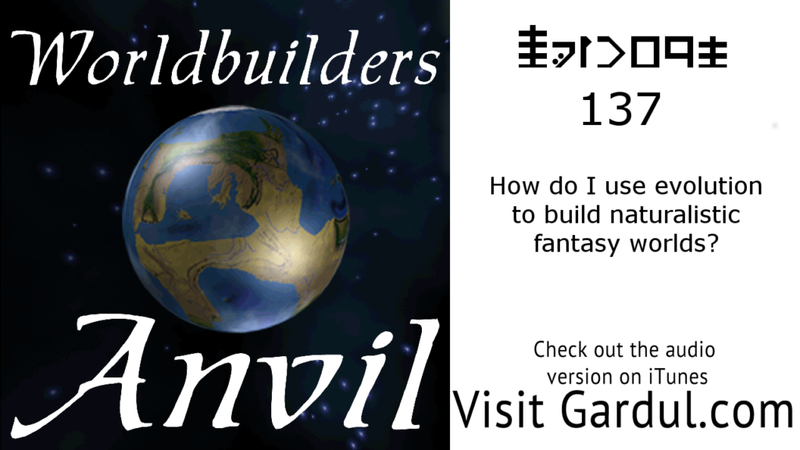 Episode 137 How do I use evolution to build naturalistic fantasy worlds? If you listen to this show; you will have heard me talk about evolving creatures, races, cultures, or technology. After listening back to my older episodes, I decided to take a break from what I was planning to do and talk about what do I mean when I talk about evolution in fantasy worldbuilding. However, before you listen I want to tell you what I do not mean. I do not create all the life on my planet from the first single cell that divides itself. Sure, it would be much more realistic. However, I am not conceited enough to think I am smart enough to do this. I also prefer storytelling. So, join Kristin and me as we look at how to create the illusion of evolution to create a more naturalistic world for my true passion, framework worldbuilding. Learn more about bootstrapping your geek into a business by attending the SmallbizLife Live Bootstrapping webinar. Click here to learn more.